Looks like it is going to snow tonight :-( yuck. It is raining now, but lil guy and I got all bundled up and went outside. I got the majority of his outside toys in the basement. Things like his plastic seesaw, slide etc can stay out there since he can play on those until we get "real" snow. As for Halloween- we had a great time! Met up with our friends and their daughter who is about to turn 2. 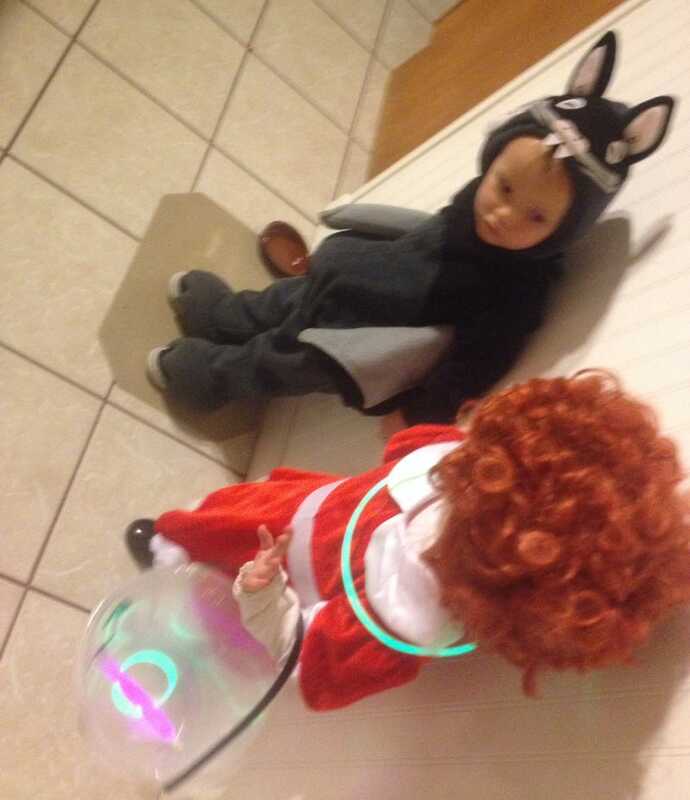 These two kiddos bumbling along in their costumes saying (kinda) trick or treat and (mostly) thank you was super cute. Then they got in pjs, had pickles and played until all of us adults were too tired to hang anymore haha! Good stuff!